Paramedic e-Learning is a suite of Continual Professional Development modules for the modern Paramedic. These online modules have been developed with the aim of providing ‘bite-sized’, interactive learning experiences that function well on a variety of mobile devices. e-Learning for Paramedics is freely available to all College of Paramedics Members, and learning is recorded for future reference on the e-Learning for Healthcare Hub. The modules have had editorial support from expert Paramedics, with technical support from the e-Learning for Healthcare Instructional Design team and steering group oversight from the Association of Ambulance Service Chief Executives, the National Educational Network for Ambulance Services, the College of Paramedics Educational Advisory Committee and the Forum for Higher Education in Paramedic Science. We really hope this platform proves to be a valuable element of your professional development, or simply as a means of refreshing your knowledge, or testing yourself. 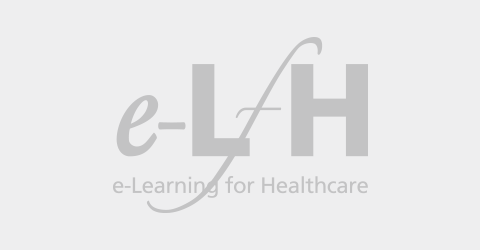 If you already have an account with e-LfH, then you can enrol on to the Paramedics Programme by logging in to the e-LfH Hub, selecting My Account > Enrolment and selecting the programme. You can then access the programme immediately in the My e-Learning section. The Paramedics programme is also available to NHS healthcare staff via the Electronic Staff Record (ESR). Accessing this e-Learning via ESR means that your completions will transfer with you throughout your NHS career.